By now, everyone who celebrates Chanukah or Christmas should have opened their gifts. 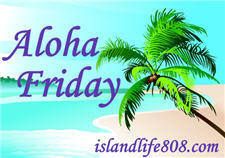 My Aloha Friday question today is a simple one: What did you get? Got some holiday goodies (cookies and cakes mostly), some beauty products, a shirt, some cash and gift certificate. My husband and I didn’t exchange gifts as we were more worried about getting our shopping done for the kids. I did get a really nice home made pillow from my son and a cookbook. 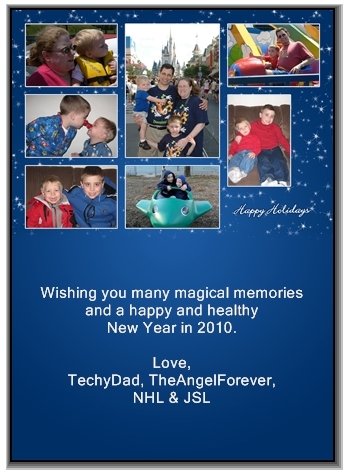 The best Christmas present for me was watching my kids be happy opening their presents. So far we’ve exchanged presents with my husband’s side of the family, and my husband and I. Sunday is our Christmas with our children and their families. So, far I did get a TV for my computer room, and a dvd player, and a couple of gift certificates. Very cool. Santa was good to me. I’m your newest follower. Hope you find time to stop by me. .-= xmasdolly´s last blog ..ALOHA "MERRY CHRISTMAS" FRIDAY =-. .-= Olga´s last blog ..Music Monday!!!! =-. .-= kailani´s last blog ..PatientStyle Socks =-. .-= MoodyMix´s last blog ..In the Arms of an Angel =-. I got a really nice digital camera and my husband gets to go pick out his flat screen tv for the bar area in our house. .-= Kandi´s last blog ..Aloha Friday…Events of 2009 =-.